Church is many things to many people. For the purpose of this post, "church" means "a group of people who claim to be Christians and meet regularly". Notice that church means people--not a building or an organization. Church is all about people. It's good because people help people. People love people. People give to people. Or they should do these things. The bad thing is they don't--sometimes. Listed below are some reasons why I think many people hate church. #1 Church members are snobs. If you believe that you or your church is superior to any other person or group of people, you have ceased to become the church. The entire premise of the Gospel of Jesus Christ is that the members of His church are only accepted based on the grace of God--not on their worth, wealth, status, style preference, physical appearance, position, gender, ethnicity, intellect, education, or any other defining factor that humanity can invent. Why? Because everyone is biased. To some degree, every person on this planet exercises favoritism toward a particular type of person, whether similar or different from themselves. Eliminating favoritism and bias is a learned behavior that every church member must acquire. Galatians 3:27-28 For as many of you as have been baptized into Christ [the church] have put on Christ. There is neither Jew nor Greek, bond nor free, male nor female; for you are all one in Christ Jesus. #2 Church members are arrogant. It's okay to like the people at your church. It's also okay to appreciate the ministries present at your church. But when someone visits your church, don't bombard them with why your church is absolutely the best and nowhere else compares. Let them form their own opinions. 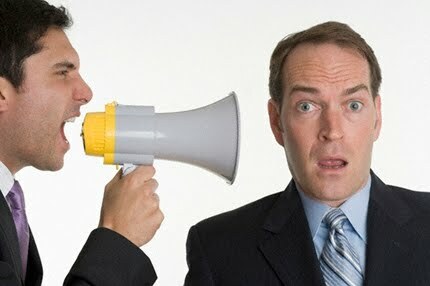 Worse yet, don't talk at your visitors in an attempt to display how spiritual and godly you are. Do not tell them about all the things you do at the church so they will think you're amazing. Those people might think that everyone in your church is that self-absorbed and not come back. Don't hide information about how things operate. If something is questionable enough that it needs to hidden, it should probably be stopped. In my experience of visiting churches, I have found some are very upfront about their strengths and weaknesses. Others were not so transparent. It puts a very bitter taste in someone's mouth if they sense shadiness in a place that claims to have the "Light of the world". #4 Church members are always angry. If a person enters your church and is immediately exposed to everything the congregation (or the preacher) hates, despises, derides, and wishes was wiped off the face of the planet, that person might decide to head elsewhere. It's not that Christians shouldn't be against things. But many church members forget what their job is. They think their purpose on earth is to criticize every leader, every group, every organization, and every blogger that says anything they perceive to be against Scripture. If God wanted you to be the judge of everyone and everything, he would have made you more intelligent. He also would have chosen someone much less narcissistic. There is a time and place for Christians to get angry, but every day and everywhere is not it. #5 Church members don't care about me. Humans have an innate sense of whether someone cares about them--I mean really cares. If people enter your church and sense that you're only trying to coerce them into joining their ranks for the purpose of church growth, they're gone. If a visitor senses an attempt to assimilate them into a political action group or a particular philosophical bent, they will either leave or become assimilated into something that is NOT the church of Jesus Christ. Sadly, it is common for people masquerading as a "church" to be nothing more than man-made philosophical indoctrination platforms. Caring starts inside the hearts and minds of church members. It comes from God. As a church member, if you don't care about people, your Christianity is dead (or doesn't exist). #6 Church members are boring (no fun). Fun did not come from sin. God invented fun. He also invented smiling, singing, jumping, clapping, and celebrating. If you're church is not fun, it's not God's fault. I have not counted, but there are a bunch of verses in the Bible about being joyful, excited, worshipful, thrilled, and expressive. One of the best experiences of my Christian life was leading a children's ministry. Kids know about fun, and they're not doing it with pretense. It's pure. It's real. It's God-like. Why shouldn't adults do the same? I'm not suggesting we sing "Father Abraham" in the worship services, but I can think of worse ideas, like not singing at all. Too many people treat church like a job interview. Dress up. Fake a smile. Lie a little. Impress people. Go home. That is not fun. It's no wonder so many people hate church! #7 Church members don't show up. 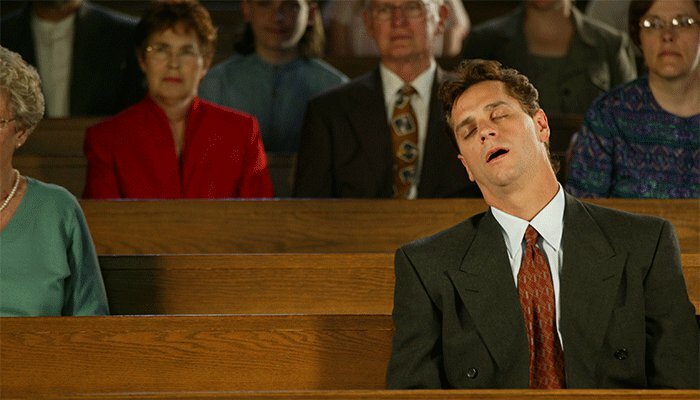 If you think church is important (which you probably do since you've read all the way to #7! ), then you should probably go. It won't benefit you if you don't go; and it won't benefit anyone else either. The best way to make your church awesome is to show up and be an awesome church member. Be unbiased. 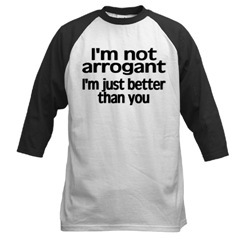 Don't be arrogant. Tell the truth. Quit being so angry. Care about people, and have some fun.